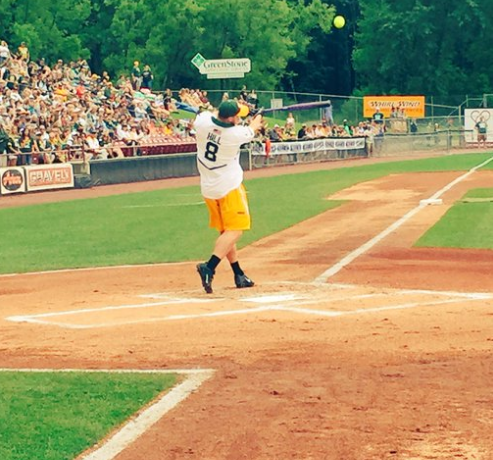 While playing in the fourth annual Jordy Nelson Charity Softball game, a Green Bay Packers quarterback and former BYU quarterback Taysom Hill hit 19 home runs. One stray ball made contact with a car in the parking lot and broke the windshield. The game took place on June 3, 2017 and had more than 8,200 people in attendance. The annual event raises money for charities. The offense won the close game and a check for $13,000 was presented to the Young Life charity. Hill proved his natural athletic ability, and even though he’s associated with the NFL, some fans may be thinking that he could have a career in baseball after seeing his performance in last weekend’s game. According to game organizers, there is a possibility that Hill will be playing in the event next year, and that’s means a possibility for more home runs and broken windshields.